When we started our homeschooling journey I was very overwhelmed with all the options out there. Thankfully my circles are like minded and I had access to homeschooling parents that I could ask questions. Through chatting online, reading lots of books, and listening to the needs of my children and our family I was able to figure out our homeschooling path. Here are some topics that I think you will find helpful. De-school: For us coming out of a private Kindergarten my son needed some time to de-school. He hated learning and wanted nothing to do with anything that resembled his semester in the klink. So we did a lot of fun learning that was not labeled until the fall. When school time rolled around we took it little by little getting mom and son use to this new adventure. After de-schooling, my learning hungry child was back and thirsty for knowledge! Prep: With my second child who will officially be starting kindergarten this fall we have done some prep work. When he’s interested we will do a math lesson but mostly we run through phonograms several times a week and we have been working on some basic readers. He also enjoys some free online educational programs. We move at his pace and interest. Kids naturally have a thirst for knowledge. It’s really quite awesome. Listening to them and introducing them to new concepts is fun. We also have a lot of craft supplies at our house that my children get into daily. Method: There are lots of different ways to homeschool and in fact no two ways are the same. Cater your homeschool around your family’s needs and preferences. Learning about the different methodologies is a great place to start. Our homeschool has a foundation of Classical Education using a lot of literature with some computer supplementation. Once you figure out your method, the curriculum search is simplified. Law: Each state has a different homeschooling law and it’s in your best interest to become very familiar with it. Here is a website that details each state’s law. Missouri– Applies to ages 7-16(17). 1000 hours of instructions. 600 of these hours must be in reading, math, social studies, language arts, and science(not evenly, just collectively). At least 400 of the 600 must must be at the “regular homeschool location”(i.e. with mom wherever mom may be). Requirements must be met within the school term(12 months starting July 1st OR within the school term set by parents). Below are things you need to keep but you are not required to turn them in to anyone. Must maintain a record of activities and subjects taught. Must keep a portfolio of the students work. Must keep a record of evaluations of the students progress. OR keep other written, equivalent evidence. Parent can choose 1,2,&3 or just 4 which allows more flexibility. Support: Finding other like minded homeschooling parents has been key in my confidence on this journey. One of my favorite online forums is found at The Well Trained Mind website. It’s very active and I’ve researched through those threads and after reading reviews confidentially made my curriculum choices. Plus I love to hear ideas that others are using and see into their homeschooling lives for inspiration. Google your city name and homeschool enrichment to find programs in your area. Below are some great options in the Kansas City area. KC Circle– a parent run, parent involved learning coop. Each parent offers a class and signs their children up to participate in classes/field trips offered. Classes located all over the metro. 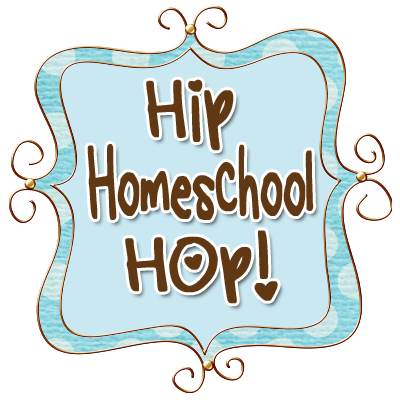 KC Homeschool– A member supported, all-inclusive secular group of local homeschoolers. We offer a co-op that runs year round, regular field trips, clubs, a monthly parent’s night out and other activities. Online we offer a discussion forum, printable membership card, classified ads, a sortable field trip database and each family can build their own secure website to share with friends and family! L.E.A.R.N.– Home Education Network provides secular support and resources to homeschooling families in Missouri and Kansas by providing regular meetings, social activities, membership cards, website, annual picnic & reunion, unprom, teen and pre-teen events, weekly gathering of coop classes, park days, graduation ceremony, information about homeschooling and legislative updates. E.D.C.A.T.E.– Currently children between the ages of infancy all the way through high school are represented in our membership. We offer active teen and tween social groups as well as preschool activities and everything in between. Current activities include: Lego play groups, Pokemon club, history co-ops, park days, field trips, drama classes, literature and writing classes, educational activity days, mom’s night out, and many more! EDUCATE also hosts an annual recognition ceremony, talent show and other family socials such as the fall kick-off picnic, holiday parties, roundtables, and the spring social. Most activities occur in the Johnson County area of Kansas, but membership is not limited to that area. Midwest Parent Educators(MPE)– serves homeschoolers by providing an annual Conference & Curriculum Fair(it’s amazing and a must go event! ), networking through its large membership, listings of local events and opportunities for homeschoolers, and more. Our local office offers support for families researching homeschooling and a library of materials geared toward homeschooling families, available as benefits of membership. MPE’s regular events include a Women’s Retreat, Men’s Leadership Evening, How to Homeschool Workshop and a Used Curriculum Sale. Lee’s Summit Home Educators (LSHE)– a Christian-based homeschool support group for families who choose to educate their pre-K through high school students. Our group is based on volunteers who desire to have a strong home school community for their children as well as themselves. We typically meet on the 2nd Mondays each month at 7pm, Sept.-May, at Christ Triumphant Church in Lee’s Summit, MO. Raymore Home Educators– Throughout the school year RHE encourages participation in local as well as state-wide field trips, conferences, classes and lectures, sports teams, testing, community events, and community service projects. We organize holiday parties and family events as well as a boisterous field day, and members-only book and curriculum sale. The accomplishments of the school year are marked with the publication of the RHE yearbook. Meets monthly, September through May, on the first Thursday at 2:30 PM. We meet at the First Baptist Church of Raymore. Lawrence Area Homeschoolers Network– a secular, inclusive homeschooling group to support families and encourage homeschooling in Lawrence, KS and surrounding areas. Meets on the 1st and 3rd Tuesdays of each month. Time: 1:00pm – 3:30pm. Email list, monthly meetings, most of our meetings are social in nature, although members are encouraged to share their skills through classes, activities, and organized field trips. Northland Families Learning Together– a secular support group for Home Educators in the Greater Kansas City area, with activities based mainly in the Northland. NFLT provides support and educational and social events to the Kansas City homeschooling community. KC-Happenings– an informational list for homeschoolers and friends. We will be sending announcements regarding activities open to all homeschoolers. If your child is involved in activities that might require email updates, this is where you will find them. Mardels– Big box store of homeschooling supplies with aisles and aisles of curriculum and so much more! I feel like a kid in a candy store and have spent hours in the store. Half the store is homeschooling supplies and half the store is a Christian book store. Locations all over the country including one in Independence and Overland Park. Rainbow Resource– A complete online store that carries all the top homeschooling curriculum. They have the most competitive prices across the board. I love when they have a booth at our local home school conference and I don’t have to pay shipping! Lakeshore Learning– I really love browsing this website. There are tons of manipulatives and great additions to homeschooling. When we move and have more space to store things I plan on ordering some fun things for our school. This list of groups in Kansas City is by no means complete. There are many small groups supporting each other in our wonderful city. If you have a group that you participate in that I didn’t list please tell us about it. Even if I listed your group, we’d love to hear your experience! I'm very impressed! You're something else kid! Love you. Thank you for this compilation!